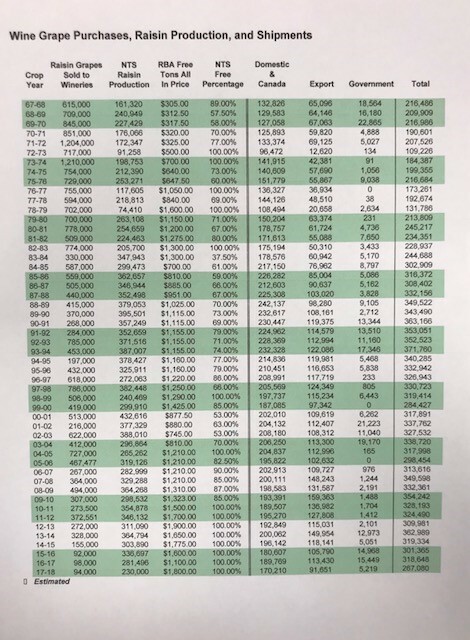 Many growers took advantage of our Bin Program this year. At this time the program is now closed until further notice. Thanks for your participation and we will update you if/when the program opens again. 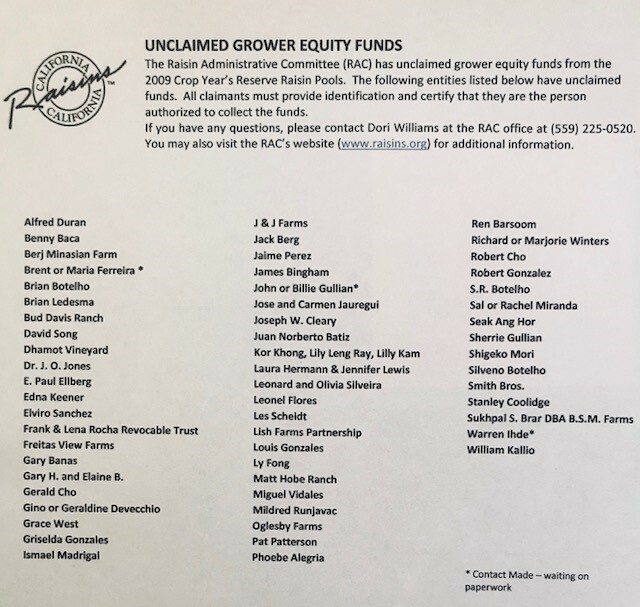 The RAC has a list of growers who have unclaimed funds from the 2009 reserve. If you're on this list please contact the RAC immediately so payment arrangements can be made. RBA Member David Lehman has roughly 150 used bins for sale in addition to farm equipment. Anyone interested should call him directly at 559-349-4444. If you have mealeybug and are planning to make raisins, farm advisors are recommending that you burn your used paper trays. By shredding your paper trays you may risk transferring the mealybug. The pest can be transferred by wind, trailer, and tractor tires to adjcent fields.